When choosing a flooring, it's essential to consider your lifestyle, as well as your style preferences. To make sure your flooring holds up through the years, think about how it will be used and how much daily wear-and-tear it will get. If you have a large family with kids and pets, your flooring choice may be different than if you live alone. With an active family and pets in the house, your flooring will take a lot of abuse on a daily basis. You'll have more dirt, grime and scuff marks, as well as more cleaning and maintenance requirements. Choosing a new flooring for your home can be an overwhelming task. It’s a big investment that influences your home’s appearance and sets the stage for your interior style. With so many great materials on the market, making a decision can be challenging to say the least. How do you know which type of flooring will be best for your home? When choosing a flooring, it’s essential to consider your lifestyle, as well as your style preferences. To make sure your flooring holds up through the years, think about how it will be used and how much daily wear-and-tear it will get. If you have a large family with kids and pets, your flooring choice may be different than if you live alone. With an active family and pets in the house, your flooring will take a lot of abuse on a daily basis. You’ll have more dirt, grime and scuff marks, as well as more cleaning and maintenance requirements. What kind of traffic will the floor get on a daily basis? What are the cleaning and maintenance requirements? What type of flooring fits your budget? Flooring that fits your lifestyle needs will last longer, require less maintenance, and protect your financial investment. It will also enhance the beauty of your home and interior design style by looking its best for many years. Wood flooring is available in a wide variety of styles, colors, patterns and finishes. It comes in planks, strips and tiles, and each wood species offers a different hardness, grain and color variation that provides unique visual interest. Whether you prefer the lighter shades of oak, maple and bamboo or the deeper shades of walnut and mahogany, wood flooring will add warmth and character to any interior. The light, warm tones of oak, maple, teak and bamboo work well in modern or contemporary interiors. They provide a warm, casual setting that reflects light and creates an open, airy feeling enhanced by bold, bright colors. Darker tones of walnut, mahogany and cherry work well in more traditional interiors. They create a more formal setting that’s enhanced by deep, rich color schemes. 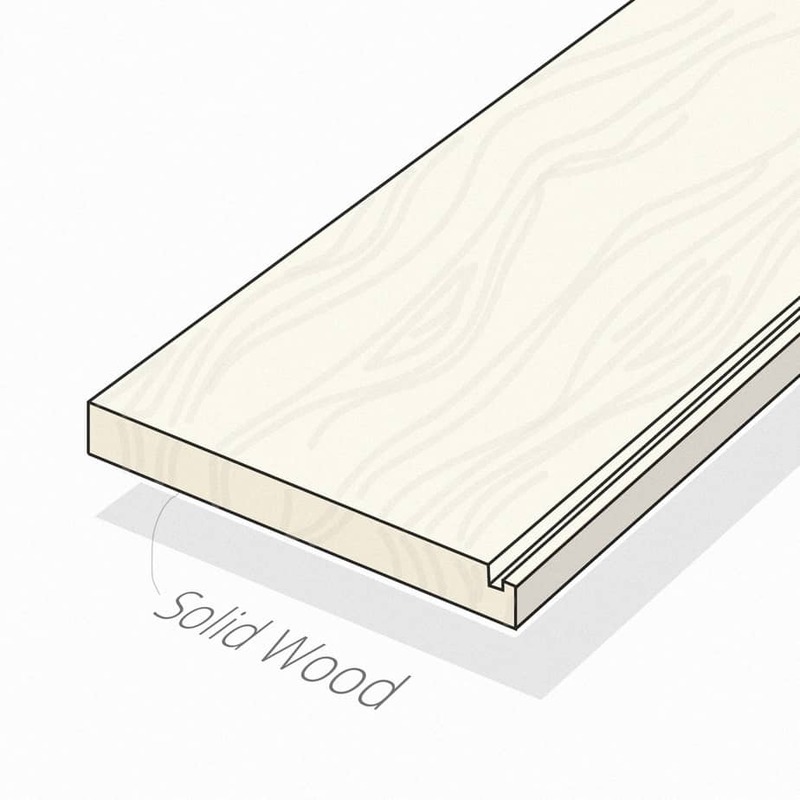 Solid wood flooring is made from a solid piece of wood from top to bottom. It’s expensive, but very durable. It will last a lifetime with proper care and maintenance. Due to wood thickness, solid hardwood floors can be sanded and refinished many times without causing damage to the floors. 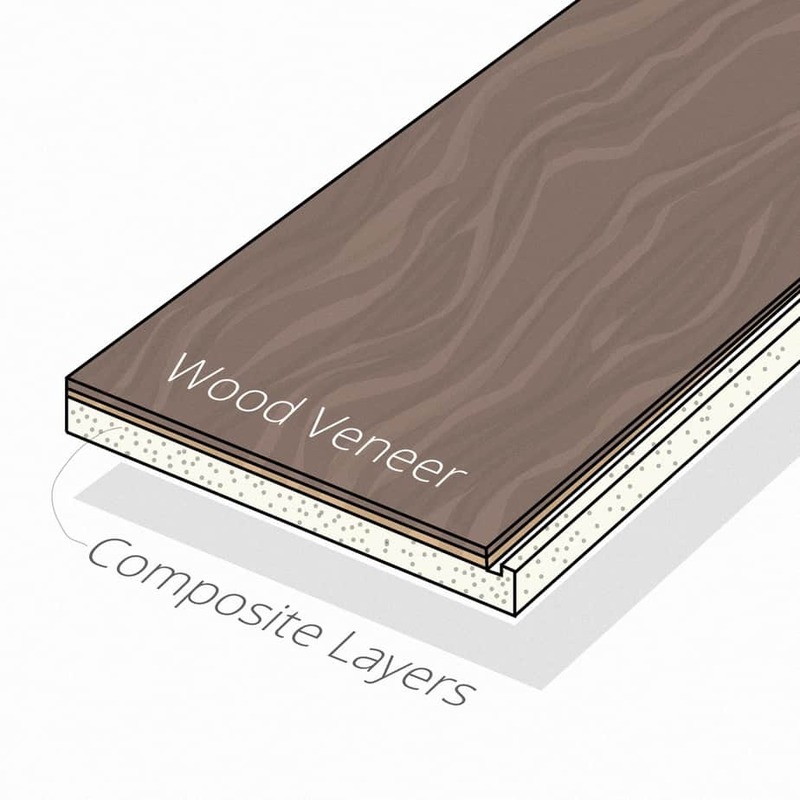 Engineered wood flooring is manufactured from real hardwood, but contains several layers of different wood veneers. The top layer, made from a high-quality wood, gives the finished appearance. 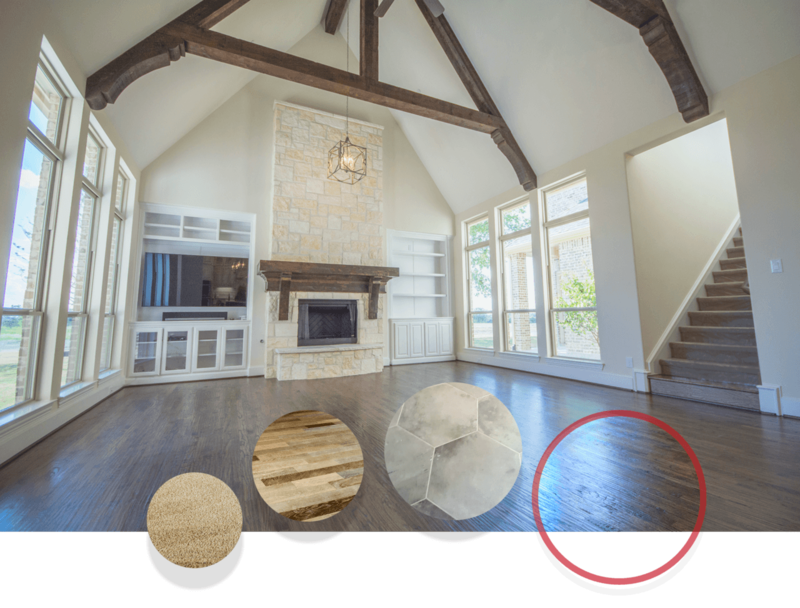 It’s durable, easy to maintain, and cost less than solid hardwood, but due to thin veneers it can not be sanded and refinished like solid wood floors. Carpet and area rugs are available in endless styles, patterns, textures and colors. They come in wool, nylon, acrylic, polyester and combination fibers with plush, textured and cut piles. With stain-guard technology, carpets offer a durable, easy-to-maintain flooring choice for any interior style. Carpets and rugs provide warmth, softness, texture, visual interest and sound absorption for your home’s interior. During the winter, they can even reduce energy costs by providing added warmth and insulation. Ceramic or porcelain tiles and natural stones offer easy maintenance. They are great for kitchens and bathrooms and other areas that are exposed to heavy traffic, water, spills and stains. Available in a wide variety of sizes, shapes, textures and colors, it’s easy to choose a floor that enhances any interior style. Ceramic Tile. Ceramic tiles are made from white clay or red clay, with a baked decorative glaze on the surface of the tile. Surface glazes have hardness ratings that range from one to five, with five being the hardest. The glaze on ceramic tiles acts as a protective sealant, but grout should be sealed for durability and easier cleaning. Porcelain Tile. Porcelain tiles are made from a stronger, denser material than clay and baked at higher temperatures for greater hardness. They look like ceramic tiles, but don’t chip or crack as easily if something is dropped on them. Porcelain tiles will hold up better and longer in high-traffic areas, and they can be laid with a thinner grout line than ceramic tiles, and in some cases with no grout at all. Natural Stone. Natural stones like granite, marble, limestone, travertine, and slate offer strength and durability. They come in a wide range of sizes and colors from white to black. Polished stones have a sheen that provides an elegant appearance, while tumbled stones and honed finishes have a rougher texture that looks more natural. Natural stones are porous and should be sealed once or twice a year for maximum protection against spills and stains. Bamboo. Unlike hardwood flooring, bamboo flooring is made from a lightweight, woody grass rather than a tree. Most bamboo used for flooring is grown in controlled forests, so it reaches maturity in just three to five years, compared to hardwood trees that often take over 100 years to grow to full size. Bamboo has the tension strength of steel and is not supposed to expand or shrink with humidity changes, however, it does not always held up to Texas weather. Cork. Like bamboo, cork is an eco-friendly flooring alternative. Cork has resilient properties which provide a comfortable, cushion under your feet, as well as great sound absorbency and noise reduction. Cork flooring tiles have a natural, non-slip surface, so they are ideal for wet areas like kitchens and bathrooms. Since cork is a porous material, it should be sealed for protection against stains. Linoleum. Linoleum is considered eco-friendly because it’s made from all natural materials like linseed oil, rosins and wood flour. It has natural anti-bacterial properties which stop microorganisms from multiplying, so you often see natural linoleum floors in hospitals. In addition to natural health benefits, linoleum flooring is anti-static, water and scratch resistant, easy to clean, and resilient under your feet. Available in a variety of patterns and colors, linoleum is a great flooring choice for kitchens, bathrooms and family rooms that get a lot of traffic. Schedule a visit to showroom today or contact us for an estimate for your home’s new floors!